ISB are pleased to be organizing an inspiring and engaging families weekend retreat (15-17 April 2017) at Kingswood - Dearne Valley. This is in partnership with our event sponsor, Penny Appeal. The program includes panel discussions, seminars and spiritual reminders; alongside team activities, campfire and quiz night. We have arranged a parallel Young Muslims programme for 11 to 17 year olds and a scouts-age program for children aged 6 to 10 year olds. Younger children will have a playspace (not a crèche - parental supervision is required). This ISB Families Retreat is being held at the Kingswood Dearne Valley activity centre situated in the stunning rolling hills and valleys of South Yorkshire. The Activity Centre has been selected for its combination of adventurous activities for all age groups, its beautiful natural scenery and the high standard environmentally friendly facilities. A variety of exciting and fun team building activities (see further details below). Spiritually uplifting and motivational series of talks, reminders and panel discussions. Three hot meals per full day & complementary tea & coffee. A comfortable ensuite dorm room for families. Family-based evening activities to build long lasting holiday memories. Develop dexterity, control and precision through archery. The site has flexible target ranges that are geared to each age group, and GNAS trained Instructors. Students use bows and arrows to match their individual strength, size and age. Work as a team through problems and puzzles. Show leadership, use initiative and strengthen communication skills. he site has several High Ropes elements and on this activity teams of two to three climbers have to navigate their way up a giant high ropes ladder of horizontally suspended logs, where the challenge comes with the ever-increasing gaps between the rungs. A super fun Laser Zone where each participant wears laser body armour covered in laser sensors. Teams must work together developing their stealth and strategy techniques. A competitive combination of trampolining and basketball. The trampoline is split in to four chambers, and two teams of two play against each other with one participant in each chamber. Improve fitness and skill development, while also developing tactical thinking and good group communication skills. Nightline is a sensory deprivation exercise in which participants are blindfolded throughout the activity and must navigate their way through a series of obstacles and mazes as a group. This activity builds team trust and better communication. Participants climb the stairs to the top of the abseiling tower. One by one, participants are helped into a harness by instructors and when they are ready they slowly step back over the edge and climb down the tower. Instructors carefully support and guide each participant to navigate their way slowly down the wall. It gives a great sense of achievement! Coached by British Fencing Association qualified Instructors, participants will wear full protective clothing, learn the basic principles of attack and defence, including the en-garde stance and the lunge. Students develop strength, control and balance – as well as tactical awareness. Bushcraft teaches young people the wide range of bushcraft skills necessary to survive in a wilderness scenario. Young people are encouraged to think about their perception of the natural world and utilising resources around them - such as learning to construct a shelter, safely lighting a campfire using natural materials, and using campfire gadgets to cook a variety of meals outdoors. A purpose-built indoor climbing wall will be used to develop co-ordination, stamina and determination, whilst learning basic climbing skills and techniques. A purpose-built low ropes obstacle course encourages communication and cooperation and helps children build confidence, developing balance and coordination as they navigate their way through a series of bridges on the low ropes course. This is a great way to build agility and group communication. This activity provides an introduction into basic map reading skills through the practical activity of orienteering. Children must navigate their way around the centre finding various checkpoints, working as a team and using only a map. Orienteering helps participants develop important initiative, leadership and teamwork skills. Construction challenges using award winning MTa learning equipment. Helps teach patience, following instructions and, working together. Playing with traditional circus props to learn how to juggle, balance and have fun in a relaxed environment. This activity encourages determination, persistence, hand-eye coordination and dexterity. A relaxing way to unwind after a busy day of activities, discussions and networking. Spend quality family time together near the warm campfire, bring along marshmallows to toast if you’d like! Still have some energy to burn off? Feeling the competitive edge? Compete against other family members and friends in a variety of individual and team games. Be ready to laugh! Family bonding over a competitive challenge – use your initiative, team work and strategic thinking (and a recycling!) to build an effective ‘shuttle’ to carry some very fragile cargo. Test it against other teams, will you triumph? Prefer to unwind comfortably as a family and watch a movie in the cinemas? The selected films will be family friendly. For families staying for the full weekend, we will endeavor to allocate each family a dorm. All dormitories have an en-suite bathroom. Dormitories have either 1/4/6 or 8 single beds (including bunk-beds) in them. Sheets, duvets and pillows are provided for all guests. Meals and activities are inclusive of the price. Prices will rise on April 1st (click on 'show info' under ticket price for price rise). Discounts are available for large family groups. 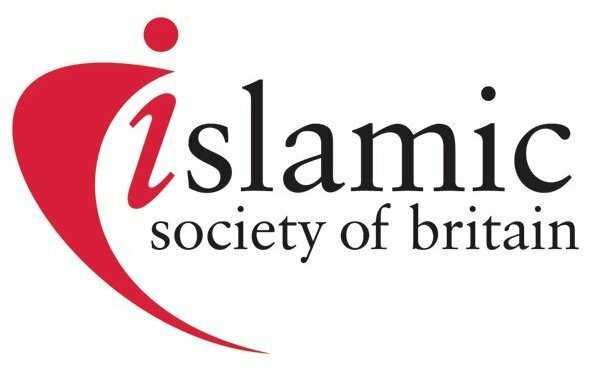 Contact members@isb.org.uk for more information.